GREENSPAN: “Economy Will Start To FADE Very Dramatically!” – The CRASH Cannot Be Stopped! The following video is brought to you courtesy of the World Alternative Media YouTube Channel. Click the video below to watch it now. Josh Sigurdson reports on the recent comments by former Fed Chairman Alan Greenspan regarding the entitlements programs and how in his words “the economy will start to fade very dramatically” due to such a burden. Of course, that hardly scratches the surface. The economy will begin to fade very dramatically because it’s an economy built to fail. It is printed into oblivion, interest rates are at dangerous low levels that will likely end in negative rates and the bond market is falling like a rock. Greenspan knows a lot about economics, but he has always used his knowledge to do the exact opposite of what he should… He uses it to push people into poverty, destroy wealth and cause perpetual debt dependency. All fiat currencies eventually revert to their true value of zero. They always have, they always will going back to 1024 AD in China. This time will NOT be any different other than the fact that it will be a far greater crash than previous ones due to how long this system has been propped up past its prime. Of course people will say we’ve said this for a long time and they would be right. We’ve also been right for a long time, you just cannot fundamentally put a date on the inevitable end of the economy. We just know thanks to seriously basic economics that it will soon come to an end and has to. The longer it’s put off the worse it is. People think Trump will go after the Federal Reserve. This is nonsense. His version of going after the Federal Reserve is basically what brand of fuel to pour on the fire. What version of centralization fits his narrative best. This problem can only be solved at an individual level. Individuals must be responsible and self sustainable. They must protect their purchasing power. The yield curve has inverted and the everything bubble is popping. Countries are swapping out of the US dollar ending the only thing keeping it afloat. Confidence. China and India are heading towards surpassing the United States in the near future. The answer comes down to no government. It comes down to individuals. You. 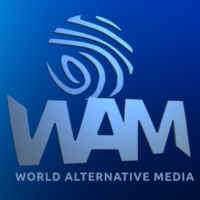 Stay tuned for more from WAM! We will soon be doing subscriber only content! Warning – Your Home is Vulnerable to Being Invaded! FREE Book Reveals “Tricks” to Protect Yourself! Should I SHORT the Stock Market? Global Economic Collapse = Massive Profit?